In early June, more than 1,000 people near Durango, Colorado, had to leave their homes as the 416 Fire swept across the landscape. Following a dismal snowpack, the region experienced a spring so hot and dry that the U.S. Drought Monitor labeled conditions “exceptional drought,” the worst category. 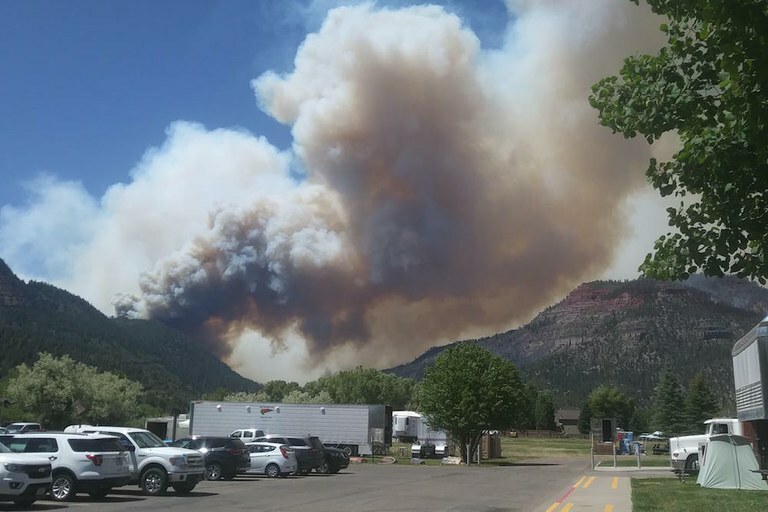 The 416 Fire near Durango, Colorado, ignited on June 1, 2018. By June 21, the wildfire covered more than 34,000 acres and was 37 percent contained. Linguists have long argued over the extent to which words and language influence one’s thoughts and worldview. One commonly cited example of evidence that they do is an Indigenous Australian language that doesn’t use words for left and right. Its speakers orient themselves by the cardinal directions — north and south, east and west — rather than the relative terms typically used in English. Research suggests that in their thoughts and interactions with others, their conceptions of space are radically different from those who speak languages with relative spatial terms. Other studies have probed the ways linguistic differences may influence a wide range of attitudes and outcomes, including support for political policies; entrepreneurial gender gaps among countries; and environmental attitudes of tourists. But beliefs are not behaviors. Reframing our understanding of the Southwest’s climate — thinking of it as a place experiencing aridification, a dry place getting drier, rather than a place simply waiting for the next drought to end — will have major ramifications only if it changes how people actually use water. There is some evidence of the inverse — that when people conceive of the problem as a temporary one, they use more water after they believe the emergency has passed. During California’s recent five-year drought, residents of the Golden State cut their water use by a quarter or more amid intense media coverage and water use restrictions. This spring, a year after California Gov. Jerry Brown pronounced that drought over, Californians were using nearly as much water as they had before drought was declared. Still, people in the Southwest must adjust to a more parched landscape. “There’s a need to (fundamentally change) the way we talk about these things, to bring attention to the fact that drought is normal,” Gonzales says. 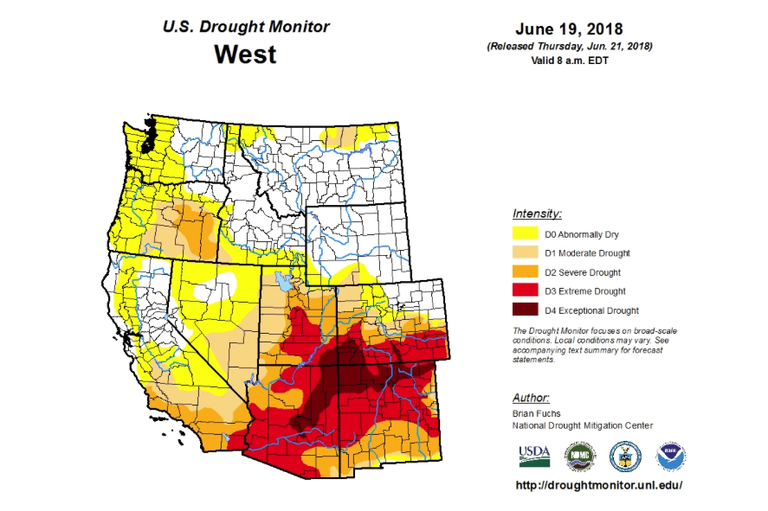 In other words, even after the bulls-eye dissipates from this summer’s drought monitor maps, Southwesterners need to keep acting as if that red swath were permanent — a lasting marker of a more arid reality. In mid-June, much of the Four Corners region was categorized as "exceptional drought" by the U.S. Drought Monitor.